What a year for crypto investors. Are you still enjoying the party? Let’s be honest with ourselves for a moment. The current market climate is irrational, volatile and it seems there’s no lack of copycat dApps dividing the market capitalization without really bringing any added value to the industry. Free market? Great. Competition? Sure. But in my opinion, there are far too many protocols, smart contract platforms and other ideas offering little, if any competitive advantage while bloating and distracting the industry. The problem is, in my opinion, the investors backing these projects don’t really understand what they’re investing in. 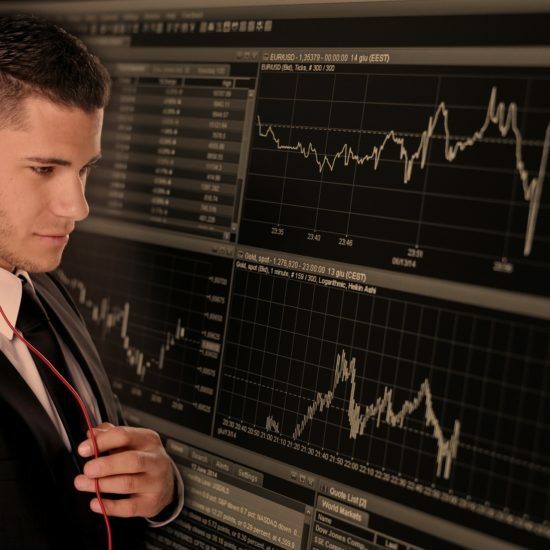 In traditional finance, the valuation of a company is based on the development and potential revenues in the future. It’s based on growth. In the crypto space, it’s based on hype. Invest in a storage of value — Bitcoin, for example. Invest in an anon coin with high privacy, that has real usage and fungibility. Invest in a dApps platform, a smart contracts protocol who you believe will use its token in different eco-systems, increasing the demand and trading volume of the token attached to its blockchain. The main question before investing in a smart contract protocol: Is there a real use case? Can you build large-size dApp, platforms on it? If the answer is yes, then okay … when? Ethereum launched in July 2015 and now we’ve had a good amount of time to see how the market is shaping up. Where is the next Amazon, Alibaba, Bumble, the next Facebook, the next YouTube, the next internet? With the way things are going, they’re almost definitely not on Ethereum, Neo, Tron or EOS. There isn’t even one dApp that could be ranked in the top 500 online business right now. It makes no sense. It’s irrational, and there exists some huge hope and subsequent speculation on the fact that these volumes and demands are supposed to increase in time with the growth of dApps. But the truth of the situation is that currently, there hasn’t been a real breakthrough for some time. That’s the thing every crypto aficionado and enthusiast is scared to say. For now, dApps and smart contracts have failed in developing new technologies. When you analyze and posture the amount of capital invested versus the actual product, the result is truly alarming. We could easily make the argument that the value of a smart contract platform should be measured by the number of users on their dApps, but are they? We have to start asking ourselves: How it is that almost $20 billion in funding has been raised for these utilities and IN TOTAL, ACROSS ALL PLATFORMS, they have a user count in the low thousands? The amount of capital invested in ICOs compared to the actual value of products released and the revenues generated by those products is concerning. Let’s look at Tezos. Great project with one of the biggest ICOs, raising more than $500M in capital. But how many jobs are they creating at the moment? How many online companies or software is being built on the Michelson language? The same questions could be raised regarding Ethereum or any of the others. Some of Ethereum’s most used dApps are iDex, Crypto Kitties, Prism, and Ethlance. Gambling, games, exchanges, and wallets seem to sum up for more than 90% of all active users on dApps, and approximately 75% of the transactional volume. Now ask yourself, is your favorite smart contract platform releasing useful dApps, or are they just announcing that they will? It’s no secret that interest is already dying off and that in 2019 people will be tired of CryptoKitties, and other silly but ultimately useless dApps. It’s about time we see big innovations and industrial companies using these ecosystems. I know it will come eventually, but seriously, what are the best dApps out there? How much revenue will they generate? If you look at iDEX, one of the most popular dApps built on Solidity, they have less than 5000 active users in a 24 hour period. The second place dApp (another exchange) has less than 3000! Currently, the top 10 crypto companies in terms of revenue are platforms and websites that are much more traditional in nature. The fact of the matter is that dApps are underperforming and ultimately inefficient at the moment. With billions of dollars in funding, they could have created the biggest open source decentralized Bitmain ASICs E-Commerce platform the world has ever seen. Or even the best hardware infrastructures to run blockchains, staking, dPos companies, you name it. Any other huge idea … but it’s just not happening. And we have to ask ourselves: Why? Is it inexperience? 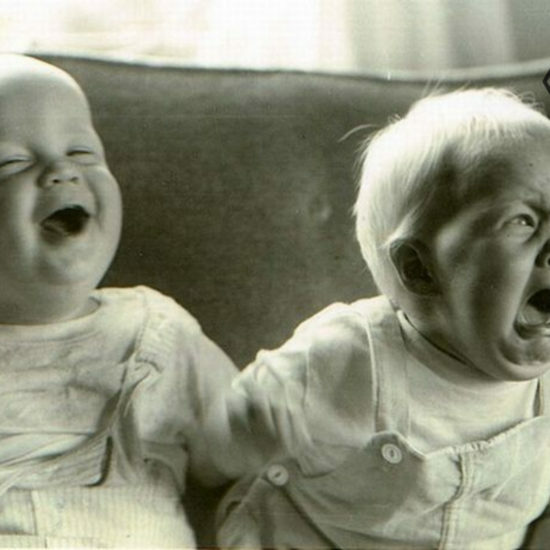 Is it internal issues? Because it’s certainly NOT a lack of capital. Ethereum, is considered the original smart contract platform and largely benefits from its first to market status. Utilizing the Solidity coding language, Ethereum was originally designed with a Proof of Work consensus algorithm but is transitioning to a Proof of Stake in an effort to address scalability concerns. Currently, Ethereum has something around 15-25 transactions per second (TPS) while their goal is to reach what they refer to as “Visa scale transaction levels” which are over 20,000 … though Visa rarely needs anything past 4,000. But a 15-25 TPS time could be considered something of a flaw that needs to be addressed by Vitalik Buterin and the Ethereum team. Protocols like EOS are boasting 50k+ TPS! Regardless, the vast majority of contract protocols today compare themselves against Ethereum as it’s considered the principle smart-contract protocol. EOS is a project launched by Block.One earlier this year, describing itself as the most powerful platform for launching decentralized applications. 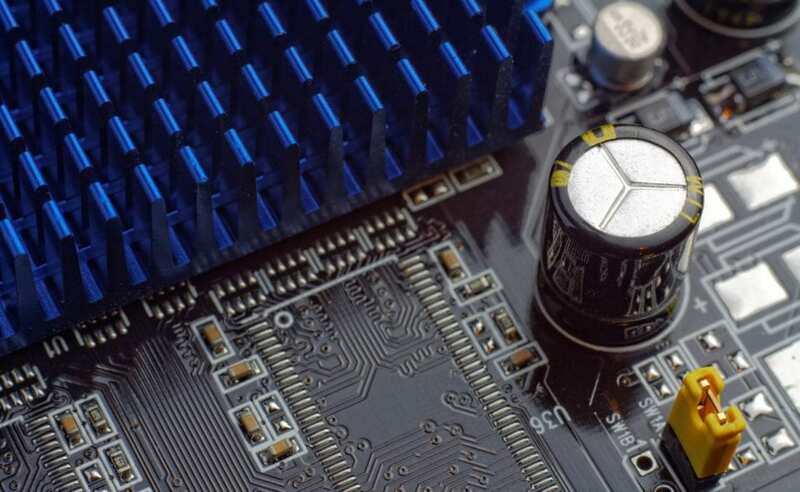 To power projects on the EOS blockchain, the platform uses what is known as RAM which dApp developers must purchase in order to build their application. EOS is currently targeting over 50k TPS while the majority of other protocols are struggling to get over even 1k! 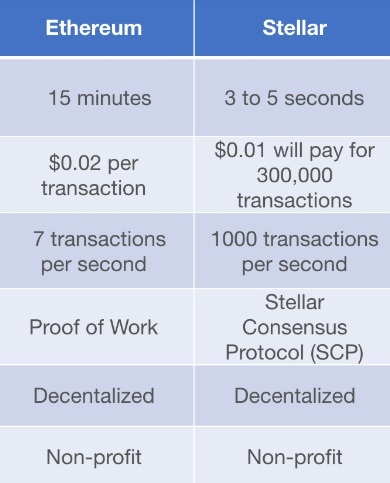 On Stellar’s website, they refer to themselves as “a platform that connects banks, payment systems, and people integrate to move money quickly, reliability, at almost no cost.” Where EOS and Ethereum can be complex, Stellar has a unique offering in that it’s extremely fast and easy to use. The learning curve for Stellar is much easier on newer programmers and is arguably faster and more scalable than almost any other smart-contract alternative. Cardano was created by a co-founder of Ethereum, calls itself the “Ethereum killer” and uses the proof of stake consensus in something called the Ouroboros algorithm. Interestingly enough this is the only thoroughly peer-reviewed and mathematically proven dApp foundation — You can read more about that in an interview with Cardano creator Charles Hoskinson here —where it’s also discussed how ADA, the token on the network is theorized to be much more efficient in terms of transactions per second than many of the other competitors. NEO (formerly Antshares) has been commonly referred to as the Chinese Ethereum; a similar concept with similar underworkings. The difference, however, lies in their endgame. Tron, developed by the notable Justin Sun, has large differentiations from other smart contract platforms in that it allows programmers to build dApps in Java on top of its platform. This means that other languages like Solidity, which take a good amount of time to become familiar with aren’t needed to build decentralized applications. 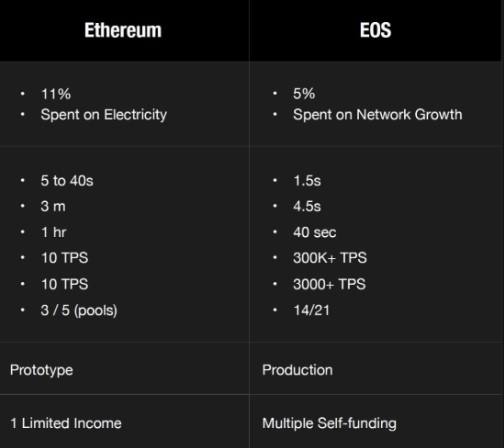 Justin Sun, the CEO Tron also recently announced that they’re postured to become 200x faster than Ethereum while remaining 100x cheaper than other projects like EOS. 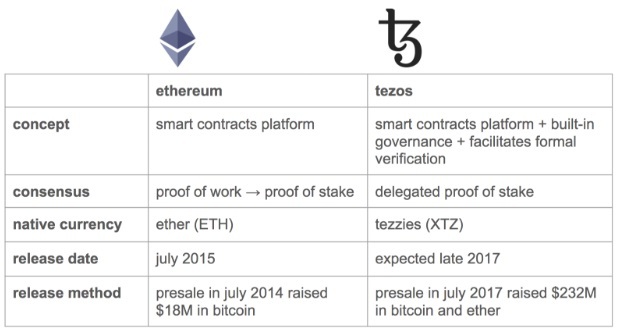 Tezos, is arguably one of the most advanced blockchains to date. While things like PoW are costly, other blockchains are slow or have confusing barriers to entry, Tezos changes everything. But with all this information and unique differentiators, we have to ask ourselves: Are the smart contract platform infrastructures, and the languages used to develop the tokens useful, circulable and fungible? Or does it manifest as just another way to store value? We have to ask ourselves: What does a dApp require to be successful and a hit with the mainstream audience? It has to be scalable. DApps on platforms need to have the capacity to support millions of users who will hopefully use the cryptocurrency attached to the smart contract platform on those dApps. Developers should have the freedom to upgrade dApps as they see fit. Also, if a bug does affect the dApp, the devs should be able to fix the dApp without affecting the platform. Especially when you are working on an open source project! No one is going to use a product that doesn’t work. That much is clear. dApps need to be fast. They need to be intuitive. They need to be functional. The world of crypto is still waiting to see which of these platforms will create jobs, enterprises, new economies, new technologies, and most importantly a real case for the mainstream, everyday consumer to use cryptocurrencies. So, to me this is the most important thing to bring Bitcoin or Ethereum to the masses. There needs to be a tangible bridge between the average consumer and crypto enthusiasts. We can sit around and consider the upsides of these platforms with their faster and faster transaction times and improved security, as well as their potential dApps, but if there is no clear connection with the real world user-base… you might as well have tossed that $20 billion in investments into the wind.